You’ve often heard of the phrase ‘high risk, high rewards.’ This used to be the mantra of many an investor, but does not always apply to everyone. Individuals who are new to the investing scene might not be attracted to a highly volatile environment, so it’s a wiser choice to go for an investment scheme with little risk. Because of the recent history plagued with terribly low interest rates, yields are worth virtually zero from so-called guaranteed ventures. After all, the purpose of investing is to gain some profit in return. There are actually places to run to if you seek decent returns without the possibility of leaving you with nothing but air. Explore some of these options. The United States government issues investments that many regard as positively safe. According to Econ Trader, “government issued securities are safe due to the fact that the government can generate revenues just by raising taxes or other government related fees.” For newbies in the investment scene, you can dip your foot in the waters with as little as $25 for savings securities and $100 for Treasury Bonds. T-Bonds are government debt security with fixed interest and maturity of 10 years. Because government bonds are technically rendered worthless only when government ceased to exist (which will never happen), these types of bonds and beginner friendly and very safe. Because of its durability and different uses (as a currency, industry applications, jewelry, and traditional sentiment), gold is seen as a highly valuable commodity across the globe. The price of gold is monitored around the clock. Gold investment comes in many forms such as gold bars, certificates, commodity exchange traded funds, and futures and options. Uniquely, because gold is among the few ‘exceptions’ to the supply-demand law, it’s considered a safe move to invest on gold. The current phenomenon of hoarding gold means that the price will only drop if these hoarders sell their stash. However, once new supply arrives, they are quickly eaten up meaning that there is virtually little supply all year round. Gold has proven to be a wise investment by many. Fixed annuities are insurance contracts between an investor and an insurance company. During the course of the contract, the company pays the annuitant. This happens almost always until the death of the contractor. This is a safe investment because the company basically gives a guarantee on profit and a highly likely tax deferral. The only downside to this is that fixed annuities are not easily accessible or illiquid. 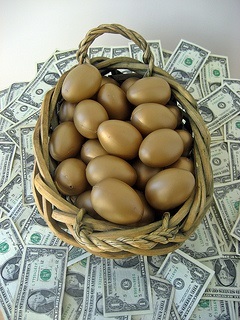 Other than that, for those looking for a constant passive income, fixed annuity is the best option. Of course, investing is not an exact and precise endeavor. If it was, then everyone would have been living on cloud nine. Based on past performances, these three areas of investment have proven to be the safest, which means that families are definitely encouraged to take a stab at these instead of just letting finances linger on your savings account.